So, you decided to go zero waste. Wonderful! Or maybe you've been living the zero waste lifestyle for a while now. Still wonderful! But here's a topic that applies to all zero wasters at some point or another: Plastics. What the heck are you supposed to do with them? 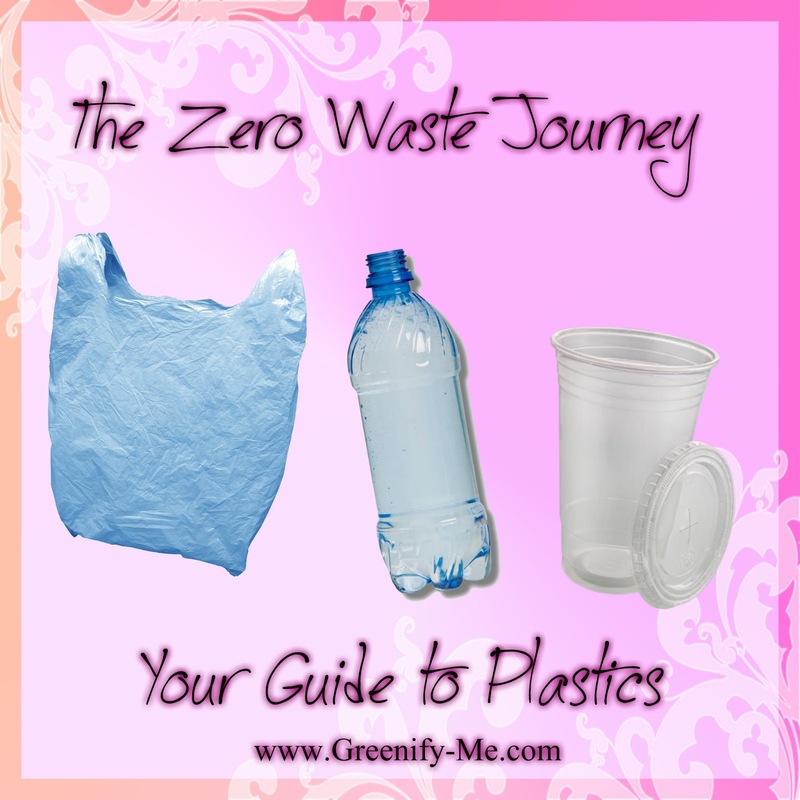 It's hard to avoid running into plastic, even when you are living a zero waste lifestyle. Maybe you have some plastic leftover from before you went zero waste (like Tupperware) that you haven't gotten rid of yet. Or maybe your doctor prescribed pills to you and they only come in a plastic container. The struggle is real. So what's the solution? Here's mine: Reduce, Reuse, Recycle. Okay, okay, so you've heard that before. But in this post, I'm going to explain step by step what each one means and how to apply them to your life. Not to mention I'll also be explaining the wonders of recycling plastic. Did you know not all plastic can be recycled, or that some are more toxic to human health than others? Well, now you do. And you'll know more if you keep reading. But before you do, I want you to know something: Go easy on yourself. All too often I see people in zero waste groups ready to pounce on those who haven't given plastic up entirely. Don't do that to one another. You want to set an example, not drive people away. If you still have plastic in your life and are trying to live as zero waste as possible, it can be done! You just have to know the three R's: Reduce, Reuse, Recycle. So lets get to 'em. Okay, so first up: Reduce. This one seems simple enough. 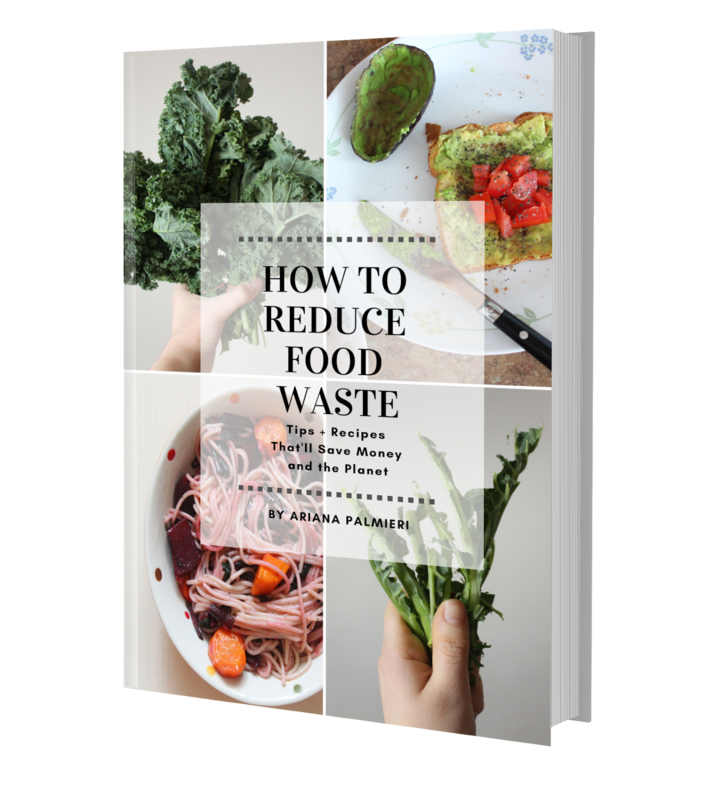 Essentially, the best way to live a zero waste lifestyle is to reduce the amount of waste you create, right? So the same applies to plastic: Just reduce the amount of plastic you use. You can do this buy simply choosing not to buy products made out of plastic. For example, lets say you're strolling along an aisle of a store. You're going to be hosting a party in a few weeks and have been thinking about what your guests will be eating on. Unfortunately, it's not a small gathering, otherwise you'd be happy to break out the silverware and fancy china set. But there's going to be more than 20 people there! You happen to pass by a shelf loaded with disposable items such as plastic forks, knives, spoons, plates, and cups. Not only are they made out of plastic but they're also packaged in plastic. You're almost tempted to buy them, especially when you see how cheap they are. But you're stronger than that: Instead, you resolve to purchase something online from one of your favorite zero waste stores. You wind up buying a biodegradable set of cutlery, plates, and cups. Boom! You just reduced your use of plastic my friend. By simply vowing to make better choices, and maybe doing a little research, you can easily reduce your plastic footprint by a ton load. And if you're unsure as to where you could find eco-friendly, zero waste options (like biodegradable cutlery), I have a few suggestions to make your life easier. 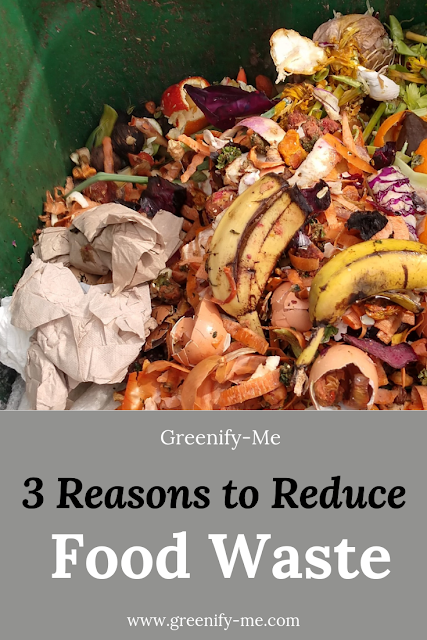 Here are my favorite places to shop for zero waste anything: MightyNest, Tiny Yellow Bungalow, and Life Without Plastic. You're welcome. Stop using plastic straws, even in restaurants. If a straw is a must, purchase a reusable stainless steel or glass straw. Stop using plastic bags and use a reusable produce bag instead. A single plastic bag can take 1,000 years to degrade. Buy or DIY your own produce bag and wash it often. Give up gum: It's made out of synthetic rubber (aka plastic). Give up water bottles. Use a reusable bottle or mug for your beverages, even when ordering from a to-go shop (like Dunkin' Donuts or Starbucks). Bring your own container for take-out or your restaurant doggy-bag (this reduces the amount of Styrofoam waste, which is what most restaurants pack leftovers in). Use matches instead of disposable plastic lighters (or invest in a cool looking refillable metal lighter). Avoid buying frozen foods because their packaging is mostly plastic. Even those that appear to be cardboard are coated in a thin layer of plastic (bummer). Don't use plasticware at home and be sure to request restaurants do not pack them in your take-out box. Use cloth diapers to reduce your baby's carbon footprint and save money. After all, the EPA estimates that 7.6 billion pounds of disposable diapers are discarded in the US each year (yuck). Don't buy juice in plastic bottles: Make your own fresh squeezed juice or eat more fruit. Make your own cleaning products and put them in glass jars. Pack your lunch in reusable containers and bags. There are some really nice ones in the shops I suggested above. Opt for fresh fruits and veggies and bulk items instead of products that come in single serving cups. Okay, you understand the reducing part. But what about the plastic already in your life? What are you supposed to do with that? Well, you could recycle it (which is the next section), or you could just reuse it. I like this option because it promotes upcycling, and upcycling is where your creative comes to play. You don't have to be an art wiz to upcycle and reuse your plastic: You just have to think logically. Obviously, plastic Tupperware that's brand new shouldn't be dumped in the trash just because you're living a zero waste lifestyle now. In fact, plastic should never be dumped in the trash. Just keep reusing it until it's old and funky (then recycle it - assuming you can - see the recycle section as to why I say that). Turn those plastic pill bottles into spice holders, or salt and pepper shakers. Just make sure to wash them out before you do it. Or, cut a plastic bottle in half and use the bottom half to hold pens and pencils in. The top half can be turned upside down (standing on the cap) and used to hold small jewelry (like rings and earrings). Make those plastic bottles into pencil holders, watering cans, bird feeders, lanterns, or jewelry holders. Collect bottle caps and use them to create 3D art. Create a 3D plastic painting. All you would need is a piece of paper, a few plastic bottles, scissors, a hot glue gun, acrylic paint, and some brushes. You could decide to wing it, or plan out exactly what you want to create. Paint plastic bottles or containers and use them as 'vases'. Use plastic bottles to grow plants in: Just cut the top off, add soil, seeds, and water. You can even poke little drainage holes in the bottom, if need be. Carefully cut the inner section out of a plastic bottle so there's a hole on one of it's sides. Fill it up with plastic bags, or store other items in there. Turn a milk jug into a bird feeder. Donate your plastic-anything (cups, Tupperware, toys) to your friends, family, or stores so it will be reused by someone else (if you truly don't want to reuse it yourself). Last but certainly not least: Recycling. Yes, I'm fully aware you want to avoid having to recycle anything. After all, doesn't recycling mean you're still technically creating waste? Yes and no: The good news is when you recycle, the plastic isn't going to a landfill to sit around for 1,000s of years. The bad news is...not all plastic is created equal. What does that mean? Glad you asked. Plastic #1 is usually clear and used to make soda and water bottles. It's picked up by most curbside recycling programs. Some consider it safe, but this plastic is known to allow bacteria to accumulate. Thankfully, it is recyclable: Plastic #1 is usually recycled into tote bags, furniture, carpet, paneling, fiber, and polar fleece. Plastic #2 is typically opaque and picked up by most curbside recycling programs. This plastic is one of the 3 plastics considered to be safe, and has a lower risk of leaching icky chemicals. It’s found mostly in household cleaner containers, milk jugs, shampoo bottles, juice bottles, detergent bottles, cereal box liners, motor oil bottles, butter tubs and yogurt tubs. Plastic #2 is recycled into pens, recycling containers, picnic tables, lumber, benches, fencing, and detergent bottles. Plastic #3 is used to make food wrap, plumbing pipes, and detergent bottles, and is seldom accepted by curbside recycling programs. These plastics used to, and still may, contain phthalates, which are linked to numerous health issues ranging from developmental problems to miscarriages. They also contain DEHA, which can be carcinogenic with long-term exposure. DEHA has also been linked to loss of bone mass and liver problems. Um, say what? Don’t cook with or burn this plastic. Polypropylene is recycled into brooms, auto battery cases, bins, pallets, signal lights, ice scrapers, and bicycle racks. Polystyrene is Styrofoam, which is notorious for being difficult to recycle, and thus, bad for the environment. This kind of plastic also poses a health risk, leaching potentially toxic chemicals, especially when heated. Most recycling programs won’t accept it - so don't buy or use it! All of the plastic resins that don’t fit into the other categories are placed in the number 7 category. It’s a mix bag of plastics that includes polycarbonate, which contains the toxic bisphenol-A (BPA). These plastics should be avoided due to possibly containing hormone disruptors like BPA, which has been linked to infertility, hyperactivity, reproductive problems, and other health issues. Um, no thanks. Plastic #7 is found in sunglasses, iPod cases, computer cases, nylon, 3- and 5-gallon water bottles, and bullet-proof materials. It is recycled into plastic lumber and other custom-made products. So which plastics should you and shouldn't you recycle? Avoid recycling plastic with the symbols 3, 6, and 7 on them. Also, while number 1 is generally consider safe, try to avoid this plastic. If you do have any in your house, find a way to reuse it. 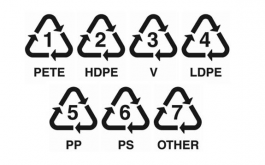 The sort of plastic that you can definitely recycle (and are the safest) are ones with the symbols 2 and 5. Plastic 4 is a little harder to recycle, so try to avoid it if you can. That said, all 3 plastics are considered safe for humans and animals to consume edibles from. That said, try to reduce using these as much as possible. There's no denying our world has a plastic addiction. That said, there are ways to help the environment without feeling like you need to get rid of all plastic right off the bat. Just put this reduce, reuse, and recycle guide into action and you'll be off to a great start. And if you make a mistake? Learn from it. It's not the end of the world. Are you looking for brand personification to make catching packaging for your customers? 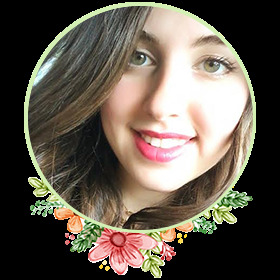 iCustomboxes brings you amazing choices make unusual cosmetic boxes that help you in your marketing goals and align with the specification of your brand. At iCustomboxes, we offer a wide range of packaging solutions for Custom Lipstick Boxes to help companies to position their brands in a better way. Hi, we just wondered if it would be possible for you to add our website to your list of zero-waste resources. We are a voluntary run database of charities mainly based in the Uk, which can fund raise with saving used postage stamps off mail. As you'll see from our site, we do not handle donations ourselves, we list the charities and the donations go direct to them. We would be so grateful if it was possible for you to help spread the word. Present your products in the best light with LiquidPrinter custom boxes. Choose from our many custom options to make your packaging come to life. Personalize your packaging and display your attention to detail! With custom printed boxes fit for your brand, easily satisfy your gift packaging needs.